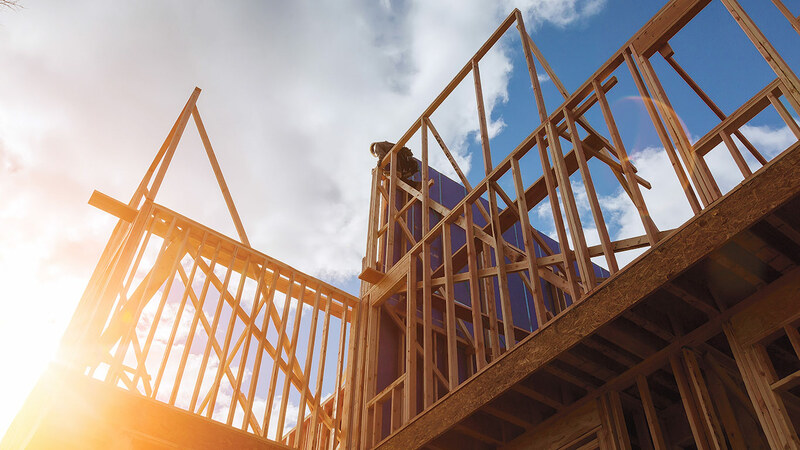 According to the 2019 Dodge Construction Outlook released by Dodge Data & Analytics, a leader in construction-industry forecasting and business planning, total U.S. construction starts for 2019 will be $808 billion, staying essentially even with the $807 billion recorded in 2018. One important question going into 2019 is whether deceleration is followed by a period of high-level stability or a period of decline, he noted. For 2019, it’s expected that growth for the U.S. economy won’t be quite as strong as what happened in 2018, as the benefits of tax cuts begin to wane. Short-term interest rates will rise, as the Federal Reserve continues to move monetary policy towards a more neutral stance. Long-term interest rates will also rise, reflecting higher inflationary expectations by the financial markets. At the same time, any erosion in market fundamentals for commercial real estate will stay modest. 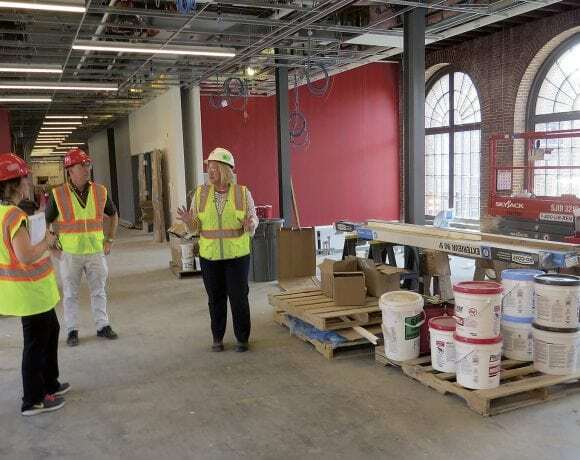 In addition, the greater funding from state and local bond measures passed in recent years will still be present, and it’s likely that federal spending for construction programs will increase. • Single-family housing will be unchanged in dollar terms, alongside a modest 3% drop in housing starts to 815,000. There will be a slight decline in homebuyer demand as the result of higher mortgage rates, diminished affordability, and reduced tax advantages for home ownership as the result of tax reform. • Multi-family housing will slide 6% in dollars and 8% in units to 465,000. Market fundamentals such as occupancies and rent growth had shown modest erosion prior to 2018, which then paused in 2018 due to the stronger U.S. economy. However, that erosion in market fundamentals is expected to resume in 2019. • Commercial building will retreat 3%, following 2% gains in 2017 and 2018, as well as the substantial percentage increases that took place earlier. While 2018 market fundamentals for offices and warehouses were healthy, this year, vacancy rates are expected to rise as the economy slows, slightly dampening construction. Hotel construction will ease back from recent strength, and store construction will experience further weakness. • Institutional building will advance 3%, picking up the pace slightly from its 1% gain in 2018, which itself followed an 18% hike in 2017. Educational facilities should see continued growth in 2019, supported by funding coming from numerous school-construction bond measures. Healthcare projects will make a partial rebound after pulling back in 2018. Airport terminal and amusement-related projects are expected to stay close to the elevated levels of construction starts reported in 2017 and 2018. • Manufacturing plant construction will rise 2% following a 18% jump in 2018. The recent pickup in petrochemical plant projects should continue, and cuts in the corporate tax rate from tax reform should encourage firms to invest more in new plant capacity. • Public-works construction will increase 4%, reflecting growth by most of the project types. The omnibus federal appropriations bill passed last March provided greater funding for transportation projects that will carry over into 2019, and environmental-related projects are getting a lift from recently passed legislation. • Electric utilities and gas plants will drop 3%, continuing to retreat after the exceptional amount reported back in 2015. New generating capacity continues to come online, dampening capacity utilization rates for power generation. Dodge Data & Analytics is North America’s leading provider of analytics and software-based workflow-integration solutions for the construction industry. 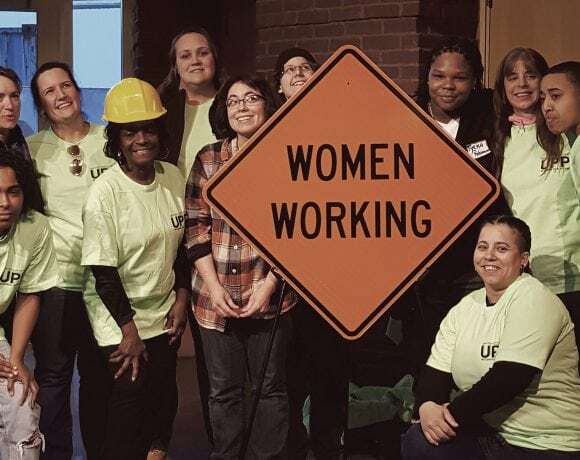 Local union carpenters gather for a forum on women in construction at Mount Holyoke College. 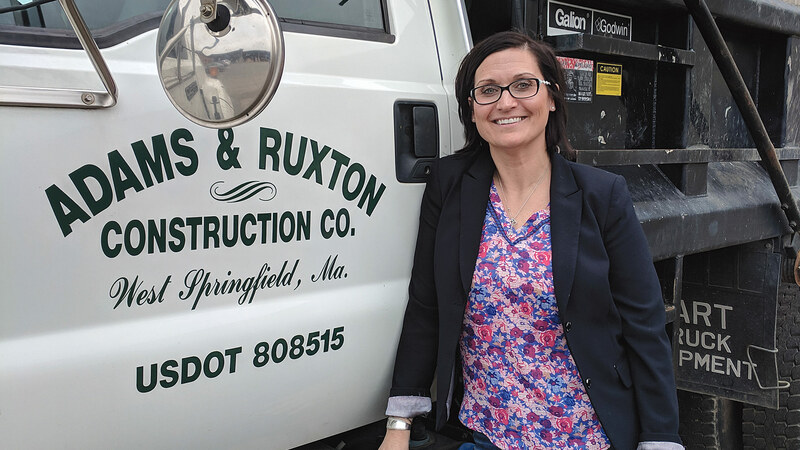 Construction has long been a male-dominated industry, but the playing field doesn’t have to be so uneven, several carpenters with Local 336 told BusinessWest. They all took different paths to the field, but all say women with an interest in working with their hands shouldn’t shy away from a career society has too often said they’re not suited for. Progress in diversifying the workforce has been incremental, but several regional developments offer reason for optimism. Lily Thompson laughs when she hears that women can’t handle themselves on a construction site. Julie Boucher, another journey-level carpenter, didn’t get those messages at an early age, or, if she did, she ignored them. 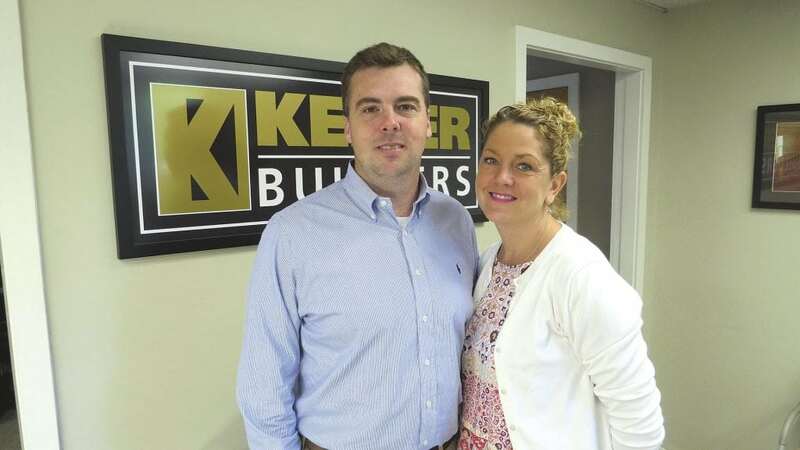 “I wanted to be a carpenter since I was a little girl, probably since I was 4 or 5, playing with Lincoln Logs and Legos,” she told BusinessWest. Her route to that career was a circuitous one. 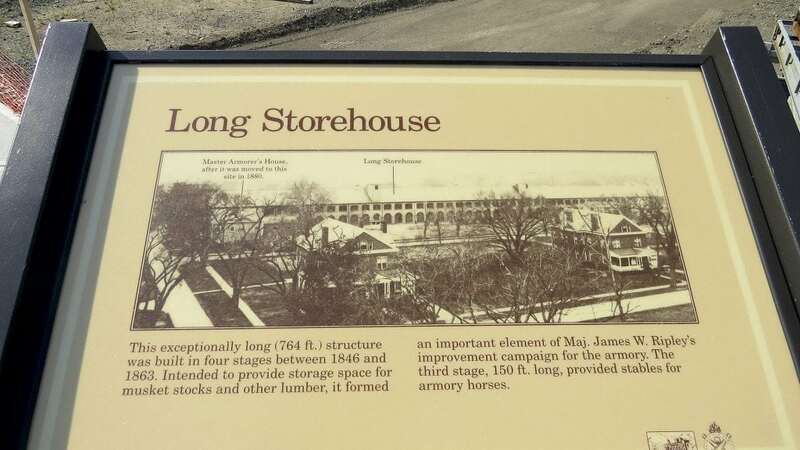 After serving in the Navy for a time before getting a medical discharge and then studying business administration at Holyoke Community College, she again became interested in carpentry, and after a professor handed her a pamphlet for the carpenter’s union, she applied. Katurah Holiness, here pictured at the MGM Springfield site, says she appreciates the different avenues of training available in her union. Lisa Clauson, director of Strategic Partnerships for the union’s Carpenter’s Labor Management Program, loves testimonials like that one. “We’ve been working aggressively over the past two years to expand our union’s diversity and ensure we reflect the communities we work in and our members live in,” she said, noting that this effort includes bringing in more men of color, but in particular has focused on recruiting women of all backgrounds. Indeed, while female representation in the construction trades rose steadily between the 1980s and 2007, the number then leveled off and has decreased ever since. One factor was certainly the Great Recession, which hit construction hard and chased many professionals out of the field — women at a higher rate. They should come back, Thompson said, with opportunities on the rise. 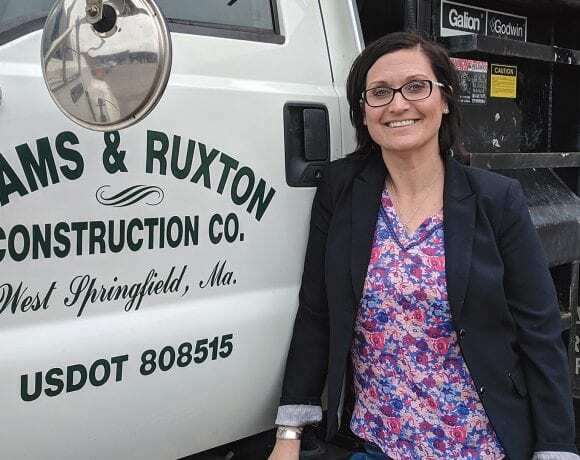 Thompson graduated from Franklin County Technical School in 2001, and decided to focus on carpentry after trying out some trades — auto-body and electrical work, to name two — that she found less appealing. “I like building things, and seeing things that are long-lasting. 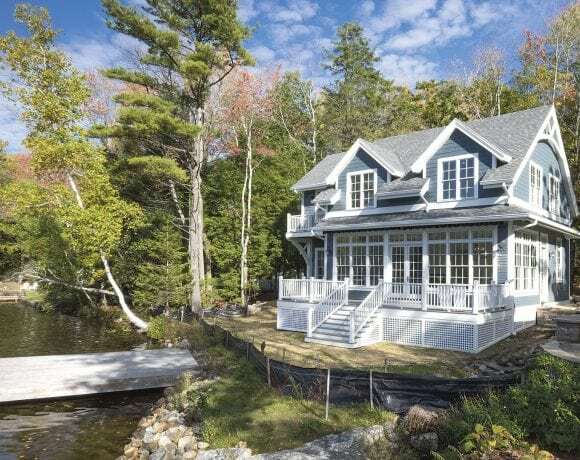 You get to look at it and have pride in your work for years to come,” she said, noting that her skills translate well to her personal life, too; she and her husband, a mechanic, bought a run-down property 12 years ago and worked to turn it into a home. A home is something Katurah Holiness didn’t have when she entered the world of carpentry. An Air Force veteran, she was driving for Uber and sleeping on a series of friends’ couches, and when she got tired of hopping around, she went to stay at Soldier On in Leeds, where she lived for much of 2016 and 2017. She had never had much interest in carpentry, but one day she gave a union carpenter a ride, and chatting with him piqued her interest. She applied with the union and quickly became an apprentice and got hired on the MGM Springfield job. Her car broke down shortly before she started as a carpenter, and Holiness initially was able to get to work through getting rides with other members and sometimes from other women who lived at Soldier On. Steady work at the union apprentice rate enabled her to save, pay off some of her debts, and eventually move to an apartment. Besides those pluses, she enjoys the work, and feels at home working alongside almost all men. That’s not to say some stereotypes of the field aren’t occasionally true, Thompson said, including ribald or condescending teasing. The union has been trying to motivate more of that whirl-giving among women in several ways, Clauson said. One is recruiting aggressively from members’ networks, community organizations, career centers and job-training programs, vocational schools, and other sources. 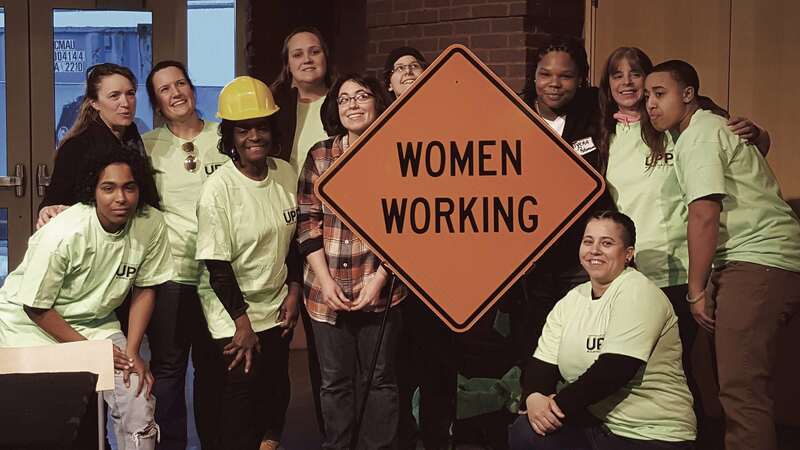 Meanwhile, to retain women in the trade, the union has created a ‘Sisters in the Brotherhood’ chapter for its women to come together regularly to network and support each other. “We have mentorship programs and are working to educate our members on the value of diversity and the need for harassment-free worksites. We are also working with our contractors on these issues,” she explained. Finally, the union has been persuading developers to require diversity in their contractors. Lily Thompson takes a break from work renovating Blanchard Hall at Mount Holyoke College. Meanwhile, the UMass Amherst Building Authority has also set work-hour goals of 6.9% for women and 15.3% for people of color. Three years ago, she added, these goals existed but were ignored, but a compliance officer started enforcing them in 2015, and now the all jobs are exceeding these numbers. 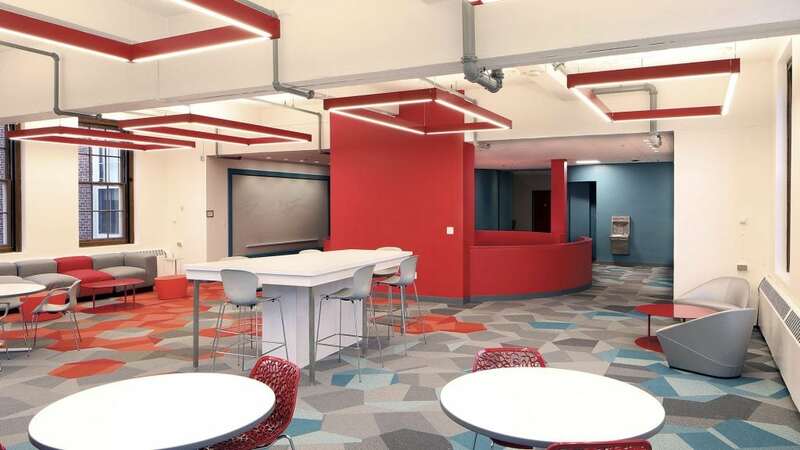 Mount Holyoke College recently completed its first project (a renovation of Blanchard Hall) with work-hour requirements of 7% for women and 16% for people of color. 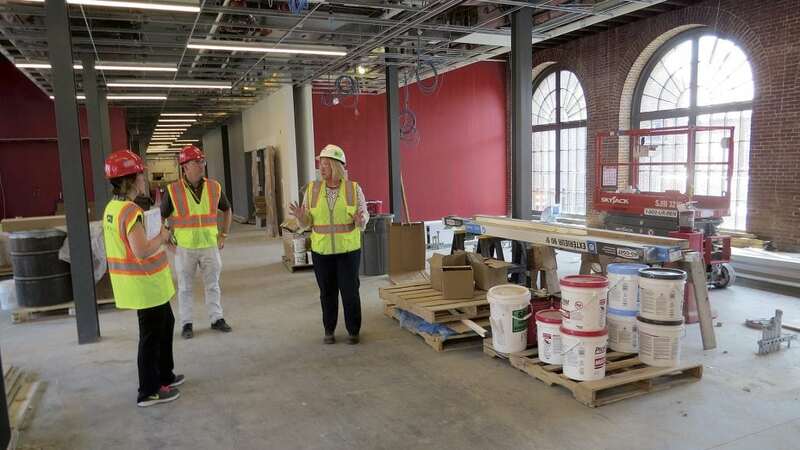 And Smith College recently announced it will require the same percentages on its $100 million Neilson Library project. Finally, the city of Springfield is reworking the Springfield Responsible Employer Ordinance, which requires city construction contractors to employ 35% Springfield residents, 20% people of color, 6.9% women, and 5% veterans. “It has largely been unenforced, and they are now creating a new enforcement plan and have recently hired a compliance officer to oversee it,” Clauson said. Boucher said every additional woman on a job site makes the environment healthier for all women. That’s partly why she coordinates the training center of the union’s apprenticeship mentoring program and helped launched its Sisters in the Brotherhood chapter. 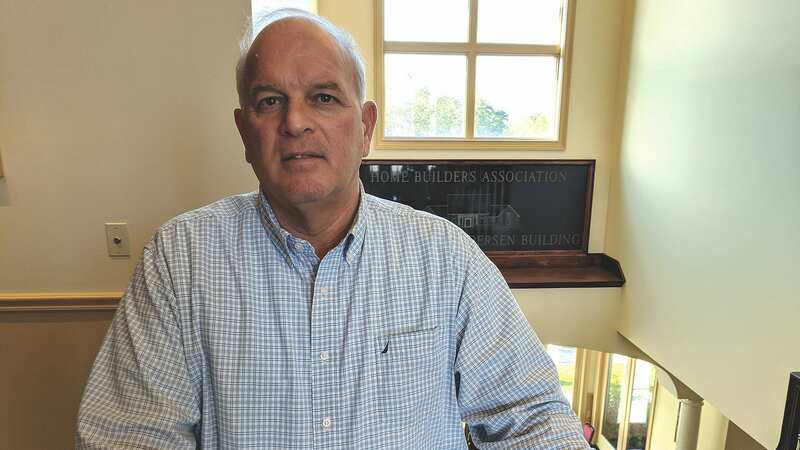 The progress achieved in diversifying the construction workforce regionally is exciting, Clauson said, but much more needs to be done. And be treated equally on the job site, Boucher said. It helps that the union supports workforce training, she added. 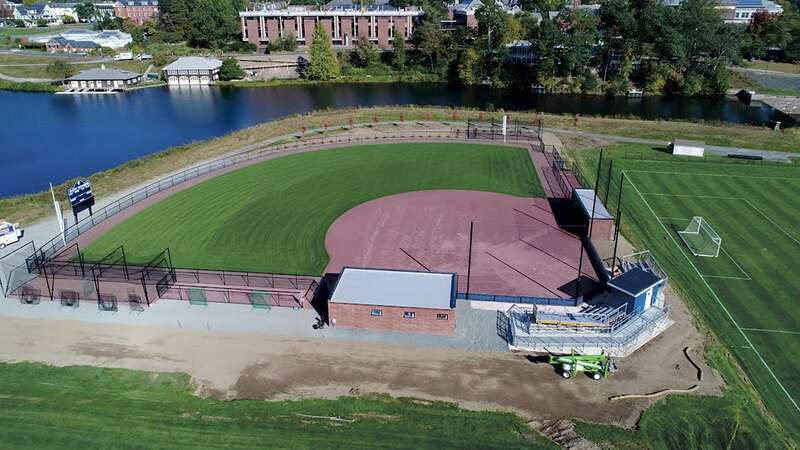 For example, Boucher earned a construction management degree at Wentworth Institute of Technology in Boston, and the local paid for one-third of the tuition; most of the classes were held at Springfield Technical Community College through an exchange between the two institutions. 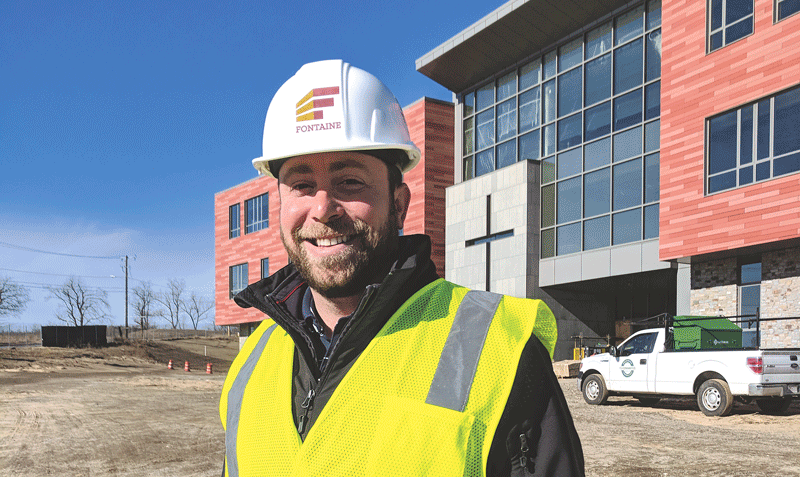 David Fontaine Jr. outside one of his company’s current high-profile projects, the new Pope Francis High School. 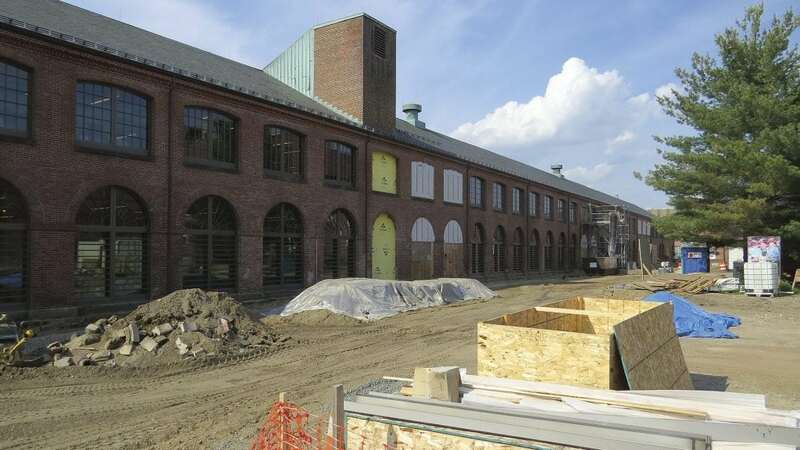 The good news for area contractors is that construction is humming along in Western Mass. The bad news? A limited talent pool has been stretched even thinner, and companies often struggle to find skilled workers. It’s actually a national problem, as a decades-long emphasis on college degrees has steered young people away from the trades as a viable career option. That needs to change, industry experts say, if they want to keep growing. 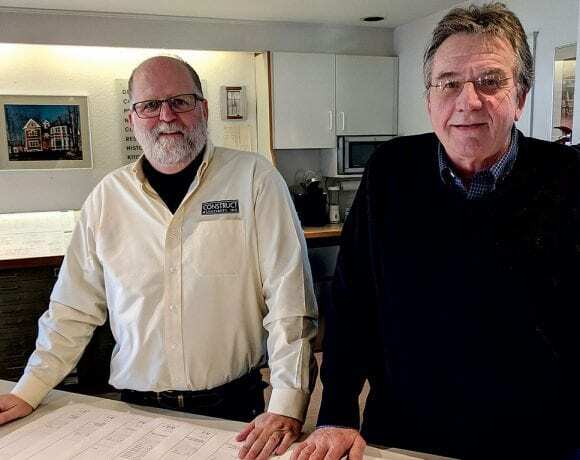 Long before the MGM Springfield casino project put hundreds of workers — carpenters, ironworkers, plumbers, electricians, you name it — to work, the region’s construction companies found themselves struggling with a critical element of the business: finding workers. n some ways, it’s a good problem to have — it means construction activity is up regionally — but it may not be sustainable. 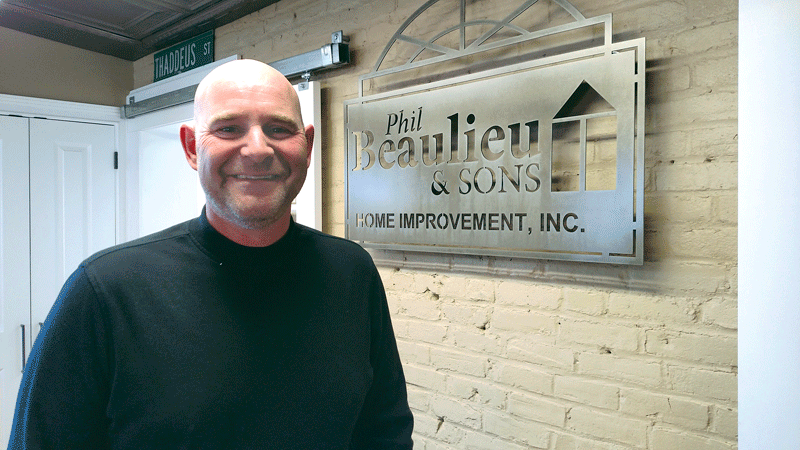 Fran Beaulieu, president of Phil Beaulieu & Sons Home Improvement in Chicopee, agrees. Attracting new blood to the field? That’s a little more challenging. 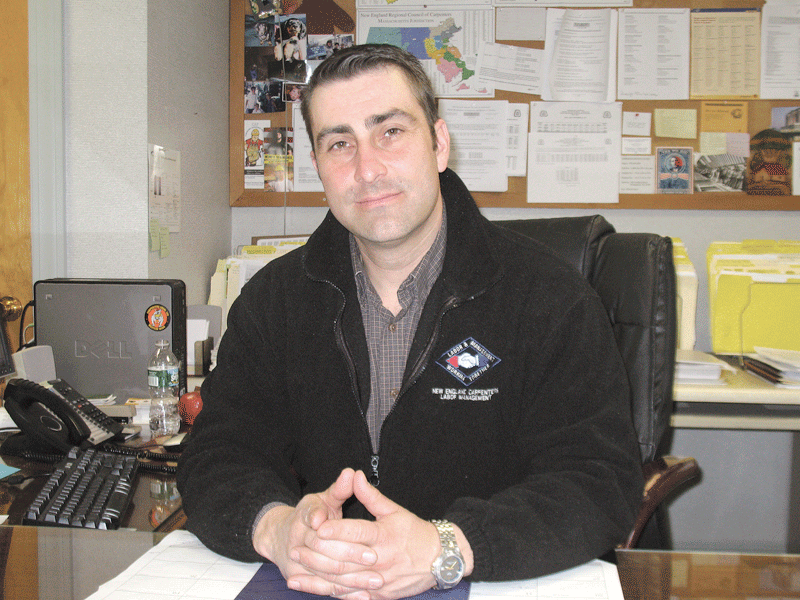 It doesn’t help, he noted, that some elements of society have looked down at the construction trades over the past quarter-century, pushing hard the idea that young people need to earn a college degree. Yet, “if you take the job professionally, you can do really, really well,” he said, noting that someone who starts at age 18 may be earning $80,000 to $90,000 by the time they’re 23 or 24, while someone who went to college is just starting out in an entry-level job, often saddled with six-figure debt. America needs a lot more than that. Last year, the National Assoc. 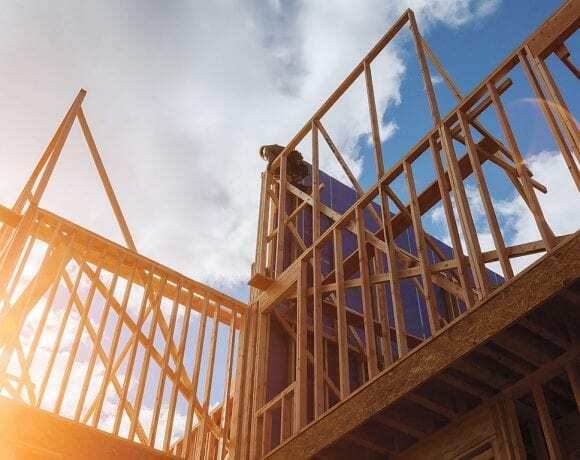 of Home Builders’ Economics and Housing Policy Group conducted a national online survey of 2,001 young adults (ages 18-25) in response to growing concerns over labor supply in the trades. The current scarcity is all the more concerning, the report noted, given projections from the Bureau of Labor Statistics that the construction sector will add around 790,000 new jobs between 2014 and 2024. Among respondents who say they want to work in construction, 80% cited good pay as a reason why — the top motivator, in fact. Other reasons include the ability to obtain useful skills (74%), the ability to work outside (53%), the ability to start one’s own business (50%), and the fact that it doesn’t require a college degree (37%). On the other hand, when respondents who said they were not interested in a construction career were asked why, the top reason was the desire for a less physically demanding job, cited by 48%, followed by the difficulty of the work (32%), the desire for an office job (26%), the desire to open their own business (20%) and, interestingly, the desire to make more money than people in the trades make (19%). Interesting, because there seems to be a perception gap when it comes to salary. Of the respondents uninterested in a construction career, almost half (44%) think annual salary averages less than $51,000, and only 2% think someone can earn more than $100,000. Still, the report notes, “most young adults who have yet to make up their minds on a career see very little chance they would join the trades even if the pay was high. This decision is based more on their view that construction work is physically demanding and difficult, and less so on often-repeated presumptions that it is because they prefer ‘new economy’ type jobs, or because the work is seasonal or requires being outside in the elements. 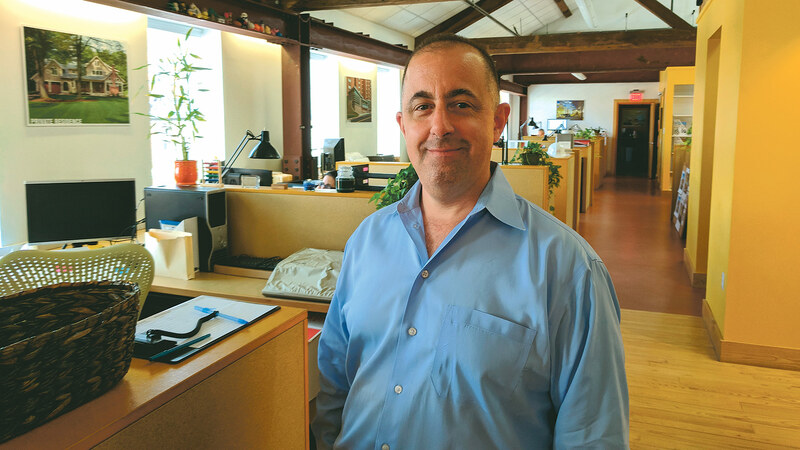 Fran Beaulieu says recruiting talent is a constant challenge in the industry, which is why he focuses on creating a strong culture of retention and advancement. Fontaine is doing his part. 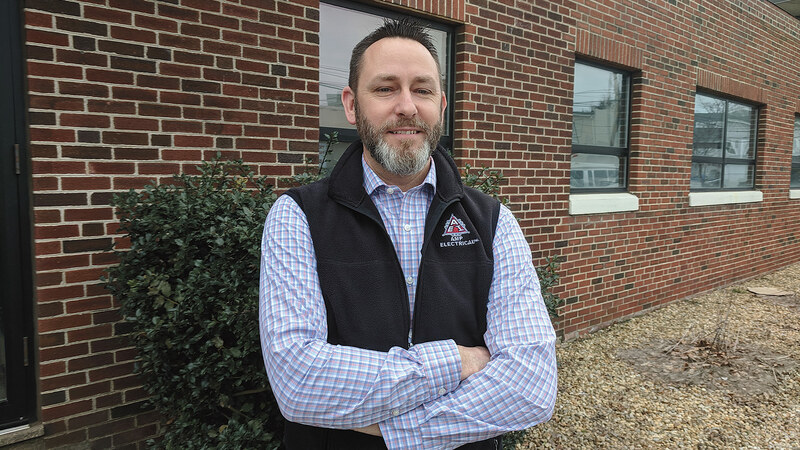 Jason Garand says the local carpenters union has developed programs to introduce young people to well-paying careers in the trade. Jason Garand, business manager of Carpenters Local Union 336 in Springfield, agreed that the promise of good pay is a must to attract young people, noting that, if an 18-year-old with no plans to go to college can earn $11 an hour at McDonald’s or $13 an hour on a job site, doing hard work in the elements, he might choose fast food, even though there’s a much lower career ceiling in that field — perhaps store management, but no higher. “He might say, ‘I’ll take the easier path in the short term,’ but in the long term, it’s a dead end,” he noted. 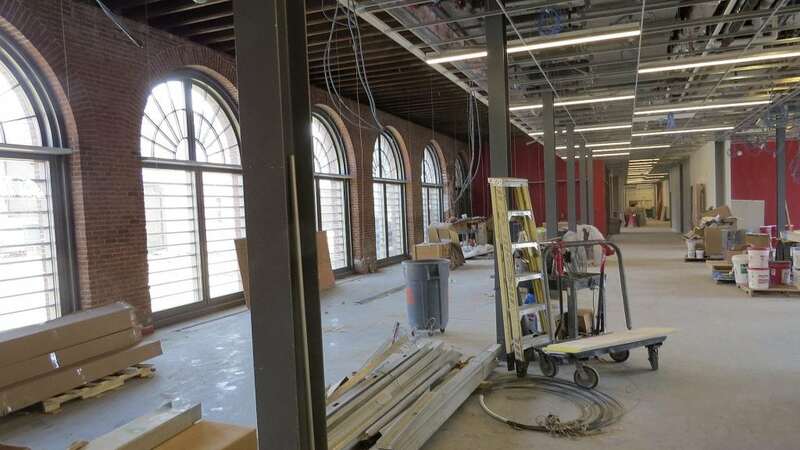 As one of its efforts to raise the profile of its trade, the union recently partnered with Putnam Vocational Technical Academy to bring two students in as apprentices to work on the MGM Springfield project. 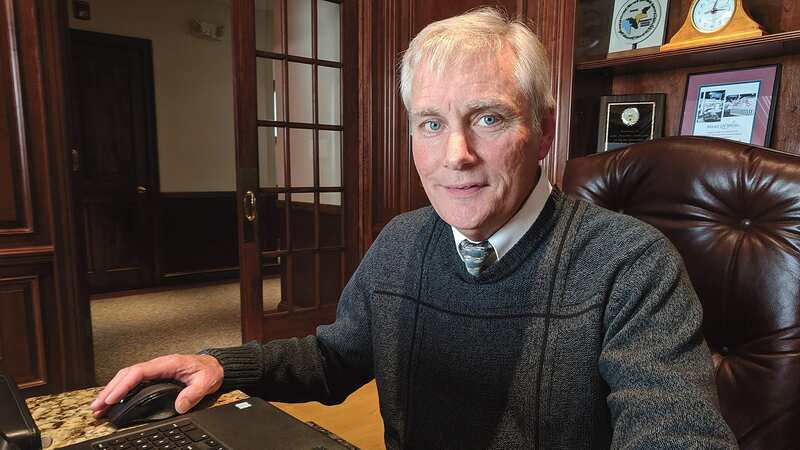 Fontaine was quick to note that the office side of the business isn’t seeing the same shortage, as the flow of young people graduating from schools like Wentworth Institute of Technology or Worcester Polytechnic Institute with degrees in construction management or engineering has been steady. He added that young people who come from families with construction trades in their background are much more likely to enter the field themselves. Meanwhile, Beaulieu said, immigrants, many from South and Central America or Eastern Europe, are entering the field locally at a higher rate than American-born young people. 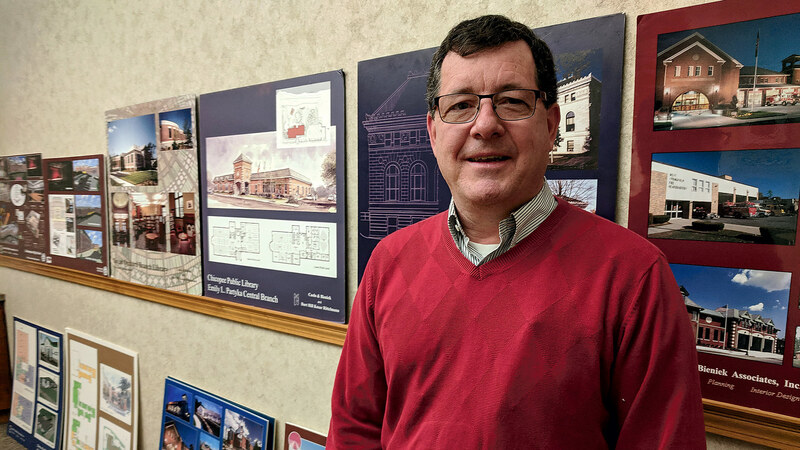 With that in mind, Beaulieu says he focuses on training from within, so that his own people can grow in their careers, stay with the firm, and advance to project management and beyond. • Young people thrive on regular communication. They enjoy collaborating on teams. Mentoring programs will encourage them to stay on board with a company. • What matters to a young person about work differs from older generations. Young people enjoy technology, and the construction industry is using more of it. Experts recommend appealing to young people’s interest in technology. • Company culture is important. Young people want jobs that come with perks and ‘come and go as you like’ atmospheres, which are common among high-tech firms. To be appealing, construction firms need to create ‘good fit’ cultures. • Companies need to develop new recruitment strategies to meet the long-term employment forecasts, which are positive. • The construction industry needs to target the right group of young people for field positions — those out of high school but not in college. An older group, attending two-year community-college programs, is an up-and-coming recruitment target as well; they may have tried a career path or two and are ready to settle down. 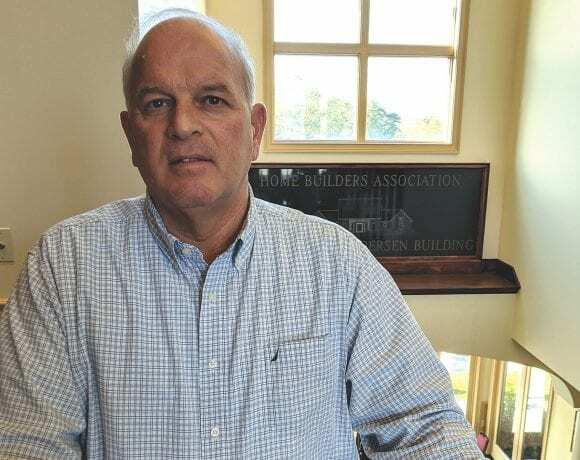 Like others BusinessWest has spoken with recently about this challenge, Fontaine said there’s no one fix, but added that the tide may be turning when it comes to getting the word out that careers in the construction trades are more stable and lucrative than young people might think. 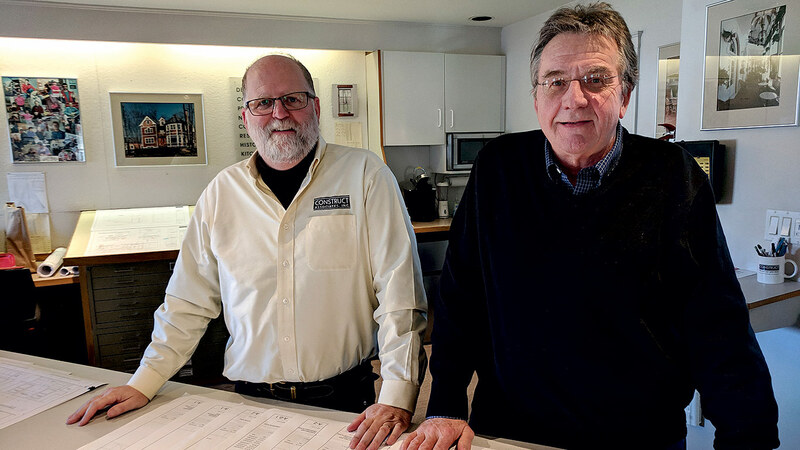 In the construction industry, many firms, general contractors, and individual construction workers have done their job a certain way for decades. They learned a certain technique, process, or order of operations that they trust and has worked for them time and time again in the past. 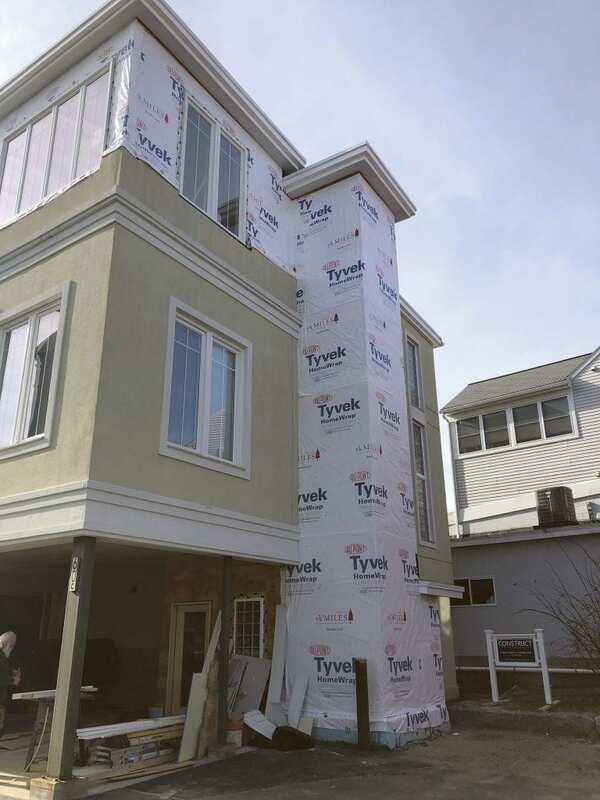 For this reason, many construction companies and workers are hesitant and skeptical of adopting new and emerging trends in the industry. However, the technology developing for the construction industry has grown at an exponential rate, and companies that fail to adopt these new practices could seriously fall behind their competition. Currently, the construction industry faces a variety of issues that have stifled many projects and raised concerns from the general public. One of the biggest issues facing the industry in 2018 is an overall shortage of laborers that are considered ‘qualified’ construction workers. Another major issue is the glaring number of fatal work injuries that the industry faces, highest among any sector in the U.S. Construction projects have grown increasingly intricate, causing contractors to underestimate the time it will take to complete the project on time and under budget. So, what will 2018 bring to help resolve these issues? One of the ways the construction industry will try to address its issues with skilled labor is with cutting-edge robotics to streamline and standardize many of their work processes. There have already been great advances in this avenue of construction. Robotic bricklayers have been manufactured to correctly lay up to 3,000 bricks per day, equal to six times faster than a typical bricklayer. By using a combination of a conveyor belt, robotic arm, and concrete pump, this cutting-edge machine will not be able to fully take over a construction site but could offer a construction company huge efficiencies, when used in the right scenarios. These types of robots have only just started to be used in major construction projects. So, why has this trend not already taken off? So far, the technology and reliance on these machines is still relatively new to the sector. 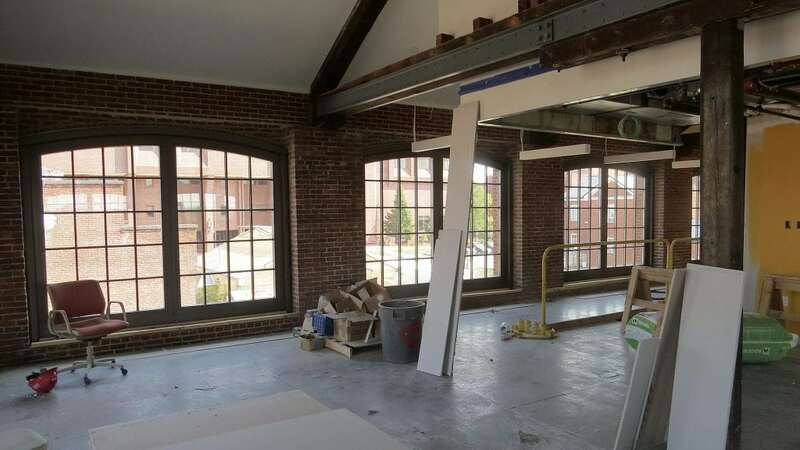 As mentioned earlier, many general contractors are hesitant to adopt new technologies or new ways to complete projects, not to mention having to make a giant investment to do so. Plus, relying solely on a relatively new piece of equipment to lay thousands of bricks is a bold move. However, as these types of construction robots prove themselves more and more, work out their kinks, and skilled laborers become scarcer, a larger number of companies will be willing to make this plunge into the new age of construction robotics. As everyone has heard, the Internet of Things (IoT) is going to revolutionize everything: the manufacturing sector, retail, construction, even each individual household. Currently, there are companies offering machine-to-machine construction equipment that offers communication between the two, plus offering diagnostics on the machinery’s fluids, temperature, and even motion sensors. This instant communication between equipment and updates for operators means far less downtime for the construction company and easier maintenance. So, why would the construction industry not have already adopted these IoT-connected machines, or be more hesitant to adopt these machines than a sector like manufacturing? Well, for the more sophisticated IoT-enabled machines, they can have a fairly high initial cost. Now, this is the same for the manufacturing industry, too but with one major difference. A manufacturing environment is much more controlled and consistent than a construction environment. On a construction project, it can be very difficult to judge how much a company will use any particular set of machinery and, to go even further, how much they will use it from project to project. In a manufacturing environment, it is much easier to know exactly how often a piece of equipment is used for each process, and, therefore, it is easier to know where to invest in the IoT. However, as these products become more common, prices will begin to decrease, and construction companies will find the smartest areas to invest in the IoT and begin to see just how beneficial it can be to the bottom line. 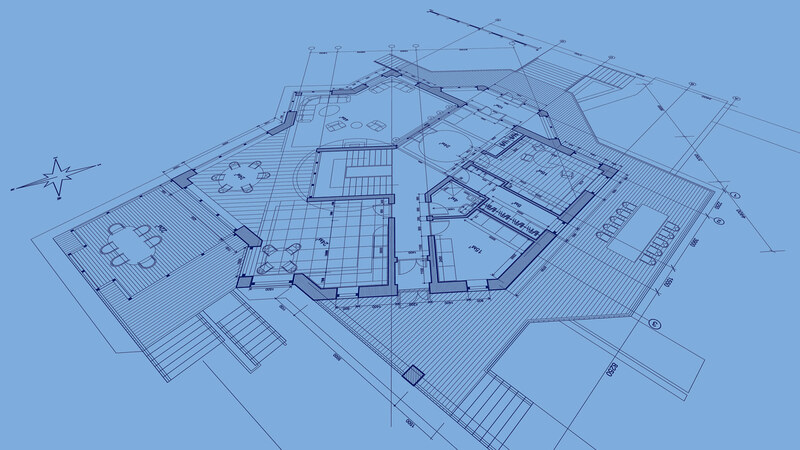 From architects to general contractors to the customers themselves, 3D models of a construction project helps the overall visualization of the project. 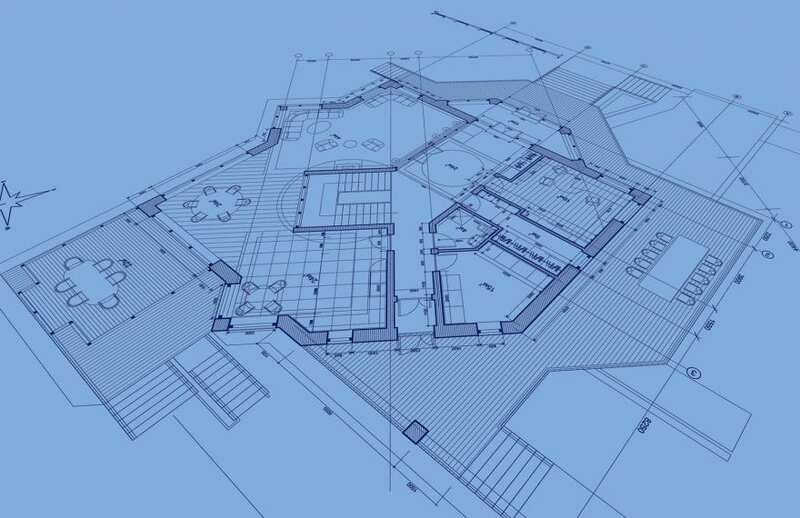 For architects, a 3D tour of the structure allows them to see their building come to life rather than being a picture on a piece of paper or a CAD file. A 3D model allows them to see how the building will act and feel for the people using it, to see how each room compliments the next, and to see if everything makes logical sense. 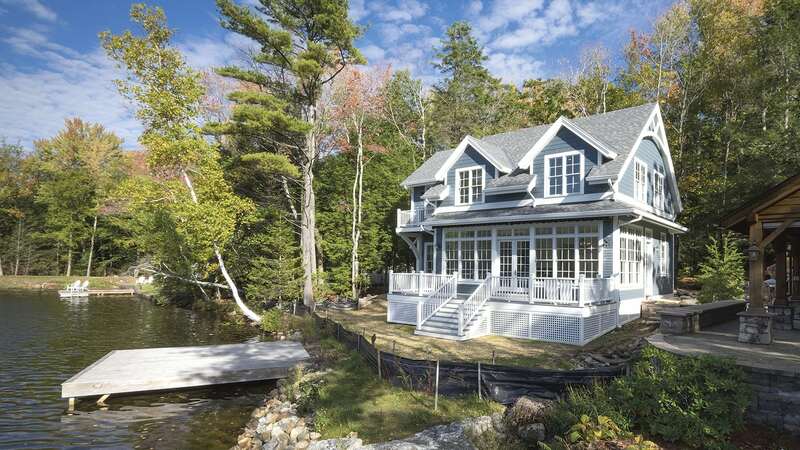 General contractors have a similar reaction to the video, except in a practical sense, inspecting it for potential problems or issues in the construction process. It will not give as much information as a CAD file, but the 3D-model video could provide some insight that they may not have put together otherwise. Finally, for the customer, they will get to see their final product. The customer will be able to familiarize themselves with the new structure and be able to point out the things they like and, potentially, the things they do not like. Exoskeletons have drawn huge hype for the last few years, not just for the construction industry but for applications as far as military combat. These exoskeletons are mechanical suits that are worn outside of clothing that will help with lifting heavy equipment, machinery, or supplies. Basically, they give an outer shell that is sturdier and stronger. However, these suits have had a hard time coming to fruition for a couple of major reasons. First off, the power supply of the exoskeleton has been very tough to develop (small engine doing lots of work over long periods of time). Second, they do not always provide the proper joint flexibility (can cause accidents on tough terrain). However, strides have still been made in their development. Many of today’s exoskeletons use a combination of springs and counterweights in order to store potential energy and turn it into kinetic energy when you need it. There is still a long way to go for this technology, but these basic suits could prevent job-site injuries due to fatigue and general tiredness. Autonomous material handling is another technology that is easier served to a manufacturing or warehousing environment than a job site, and for the same reasons. A manufacturing environment has a set layout that can be programmed into the robot. The layout never changes, so the machine can easily predict where to go without things going awry. However, for a job site, things are constantly changing, not just from one job site to another, but even while the structure is being built. Plus, a construction site will not have the same uniform surface to travel over like a manufacturing facility. So, how will the construction industry make it over these hurdles? One of the prevailing ideas is heavy-duty drones that provide a 3D map of the job site with designated loading and unloading zones. These drones would have a variety of cameras and sensors in order to account for variables not calculated in their original flight path. Also, it would use the Internet of Things to coordinate with other pieces of heavy machinery. This article first appeared in Digital Journal.